CANBERRA, Oct 29 2018 (IPS) - At the mouth of the Mataniko River, which winds its way through the vibrant coastal port town of Honiara to the sea, is the sprawling informal community of Lord Howe Settlement, which hugs the banks of the estuary and seafront. A walk from the nearby main road to the beach involves a meandering route through narrow alleys between crowded dwellings, homes to about 630 people, which are clustered among the trees and overhang the water. An estimated 40 percent of Honiara’s population of about 67,000 live in at least 30 squatter settlements. Sanitation coverage is about 32 percent in the Solomon Islands and in this capital city the piped sewerage system, which does not extend to unplanned settlements, is dispersed into local waterways and along the coastline. For centuries, coastal fishing has been central to the nutrition, food security and livelihoods of Pacific Islanders, as it will be in the twenty first century. But, as population growth in the region reaches 70 percent and cities and towns expand along island coastlines, waste, especially untreated sewage, has become a dire threat to coastal waters and their fisheries. “Areas of high population density, such as cities and tourism areas, are associated with excess release of poorly treated wastewater onto reefs. 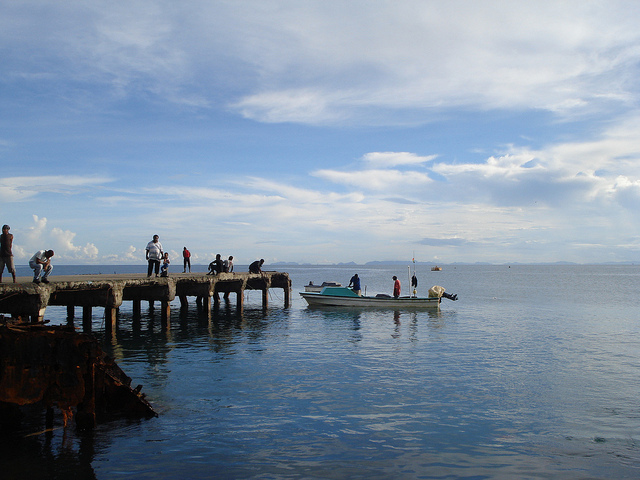 Many coastal communities rely heavily on fishing for their subsistence and household income and endangering the lagoons and fishing areas will threaten their livelihoods,” is the personal view of Dr. Johann Poinapen, who also holds the position of director of the Institute of Applied Sciences at the University of the South Pacific in Fiji. Subsistence fishing in near shore areas, typically of finfish, trochus, molluscs, clams, crabs and bêche-de-mer, accounts for 70 percent of all coastal catches in the Pacific Islands and 22 percent of the region’s Gross Domestic Product (GDP). Sewage waste is a global issue, accounting for about 75 percent of pollution in the world’s oceans, and every Pacific Island state has identified it as a cause of environmental and health problems, ranging from marine ‘dead zones’ and the loss of reefs to outbreaks of seafood poisoning. Critically its discharge in coastal areas leads to the loss of habitats for marine life, according to Associate Professor Monique Gagnon, an expert in ecotoxicology at the School of Molecular and Life Sciences, Curtin University in Western Australia. “Effluent, or nutrient pollution, produces eutrophication and the growth of algae can change marine habitats, threatening local fish populations and encouraging invasive species,” Gagnon told IPS. Human effluent generates the over-production of algae and cyanobacteria in waterways and the sea. Toxic algal blooms can infect all types of fish and shellfish and lead to the demise of coral reefs and their fish stocks. Sewage also depletes oxygen in aquatic ecosystems, leading to the condition of Hypoxia, which causes the death of fish through paralysis. And the consumption of fish contaminated by biotoxins can cause serious illnesses, such as paralytic shellfish poisoning and ciguatera. A study of marine pollution in the Republic of the Marshall Islands in 2016 found that nine of ten ocean and lagoon sites surveyed were heavily polluted, particularly with disease carrying bacteria from human and animal waste. 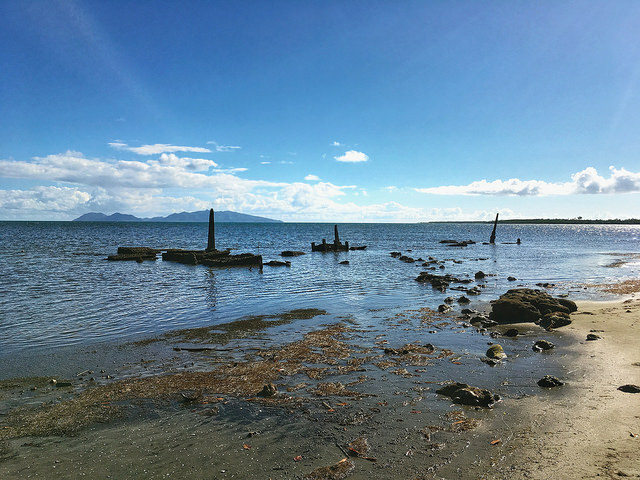 In Samoa, the Ministry of Health has connected typhoid cases with seafood collected near shore which has been spoiled by effluent from coastal villages. The first global Sustainable Blue Economy Conference will be held in Nairobi, Kenya from Nov. 26 to 28 and is being co-hosted with Canada and Japan. Over 4,000 participants from around the world are coming together to learn how to build a blue economy. 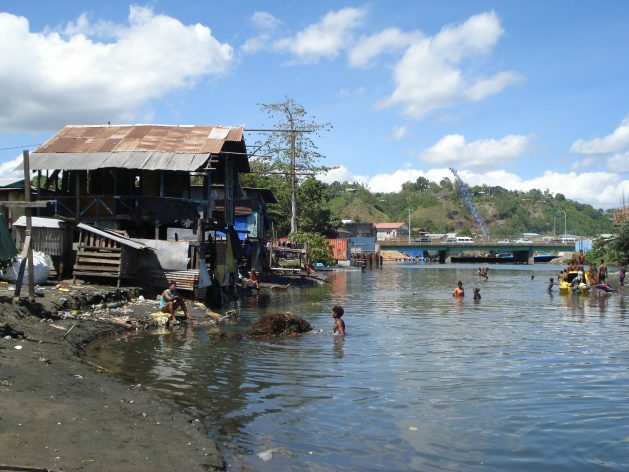 Lack of sewage treatment facilities and collection services for households in Pacific cities, together with mostly unimproved sanitation in rural areas, are leading to increasing amounts of effluent entering coastal waters or conveyed there from rivers and streams. The problem is acute in urban areas where under-resourced civic services are struggling to cope with a high influx of people migrating from less developed rural areas. Urban centres are growing at a very high annual rate of 4.7 percent in the Solomon Islands, 3.5 percent in Vanuatu and 2.8 percent in Papua New Guinea. The situation in Honiara in the Solomon Islands is typical of many other Melanesian towns and cities in the southwest Pacific. “Upstream [of the Mataniko River] there are sewerage outlets which are coming directly into the river. Then, as you come down, you see these little houses on the riverbanks; these are toilets,” Josephine Teakeni, president of the local women’s civil society group, Vois Blong Mere, told IPS. The Honiara City Council is involved in manufacturing affordable toilet hardware items, especially for people in settlements who are on low incomes, and provides a septic tank collection service. But lack of resources severely restricts their operations. “We don’t have the capacity to do this for the whole city, but we can empty septic systems for anyone who can pay the fee of SB$400 (USD51),” George Titiulu in the Council’s Health and Environment Services told IPS. He admits that there is an environmental problem. The proportion of people in the Pacific Islands using improved sanitation rose by only 2 percent, from 29 percent to 31 percent, over the 25 year period from 1990 to 2015, reports the World Health Organization. This leaves a shortfall of 6.9 million people who lack this basic service across the region. In the Solomon Islands, as in other developing Pacific Island states, the obstacles to better progress include lack of basic infrastructure, expertise, technical capacity and reliable funding. The challenges are even greater to extend basic services into informal settlements because of complex customary land rights and insecure tenure for residents, as well as their frequent location in natural hazard and disaster prone areas, such as flood plains. Yet the issue will have to be tackled with experts predicting that habitat destruction, together with climate change and over-exploitation of marine resources, will drive a continuing decline in coastal fisheries in the coming decades. For Pacific Islanders, this could lead to significant economic losses, a rise in the cost of fish and diminishing food. The regional development organisation, the Pacific Community, predicts that within 15 years an additional 115,000 tonnes of fish will be needed to manage the food gap. “Tackling sewage pollution in the Pacific Island region is not an easy feat,” Poinapen told IPS. His personal view is that all stakeholders, not just governments, must be involved in developing and implementing appropriate solutions, as well as educational, policy and legislative approaches.